This set up pack adapts the AirFit N20 and Airfit N20 for Her for use with the AirMini CPAP. 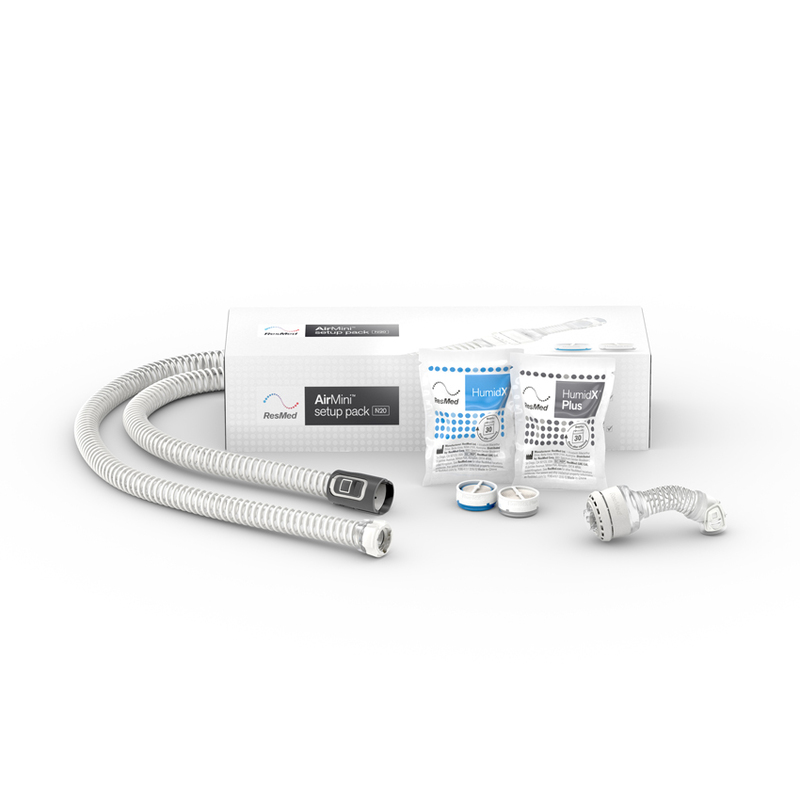 AIRMINI CPAP NOT INCLUDED. AIRFIT N20 MASK NOT INCLUDED. Click Here to View the AirFit N20 Mask. Click Here to View the AirFit N20 for Her. Click Here to View the AirMini.